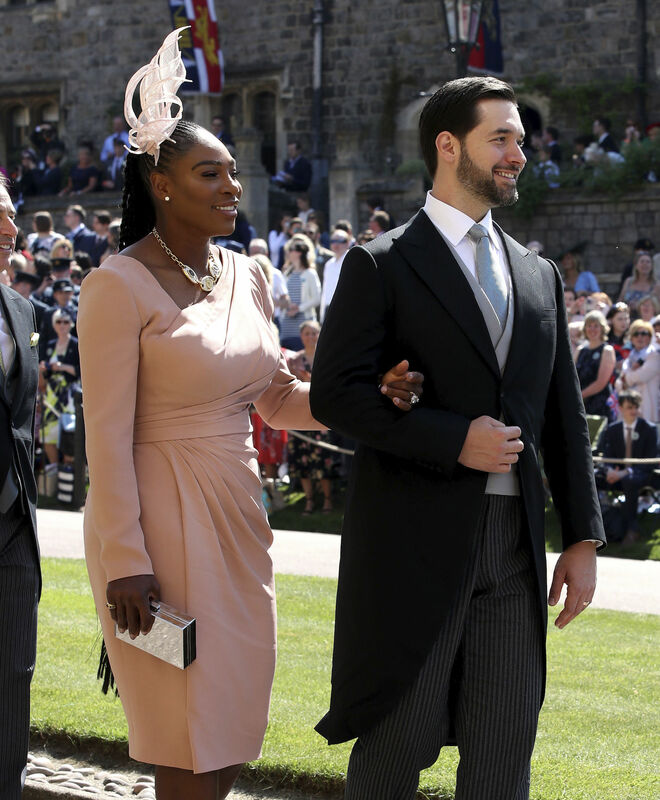 Like every good royal wedding, it was all about the hats, the dresses and the posh tails, with some standouts in the rush inside at Windsor Castle. Amal Clooney was undeniably regal in a mustard yellow dress with a long tie in back that bordered on a train as she glided into St. George's Chapel on Saturday, her actor husband, George Clooney, at her side in neutral grey, for the wedding of Prince Harry and Meghan Markle. Granted, it's difficult for Ms. Clooney to merely blend in, but her jauntily tilted and perfectly matched wide-brim hat, a dainty veil in front, contributed to gasps, both online and in the crowd that lined the church route. 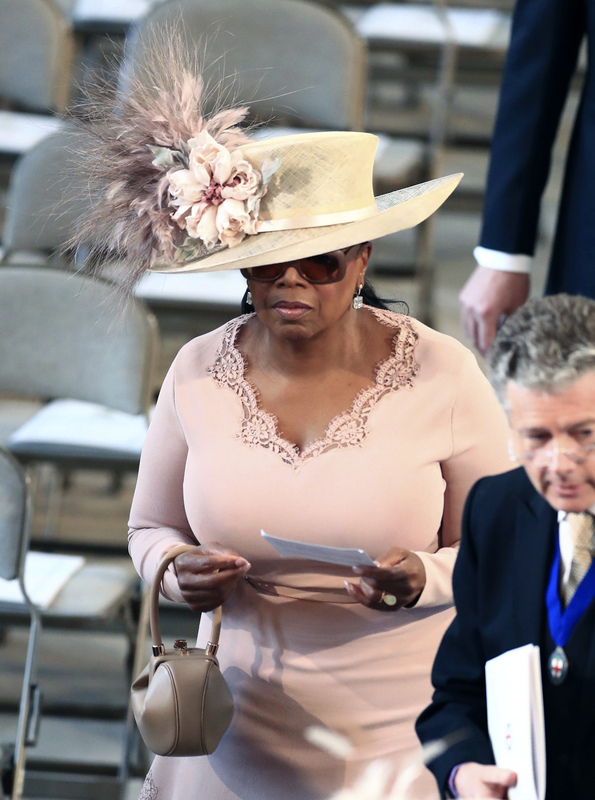 Early guests included Oprah Winfrey in tiered Stella McCartney pink and a matching statement hat. Victoria Beckham, meanwhile, a close friend of the groom, blended quite nicely in dark navy, a peekaboo slit at the front of her dress that fell well below the knee, as she attended with her husband, soccer star David Beckham. 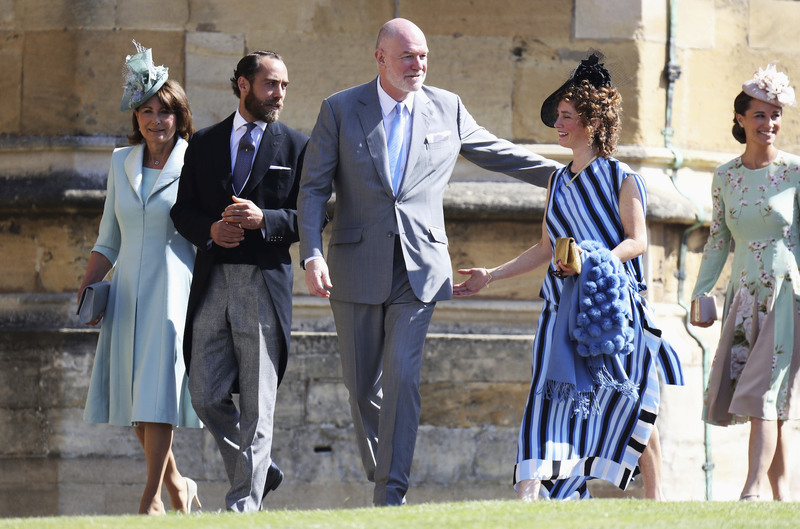 It was a very different royal wedding for Pippa Middleton, the sister of Kate Middleton. 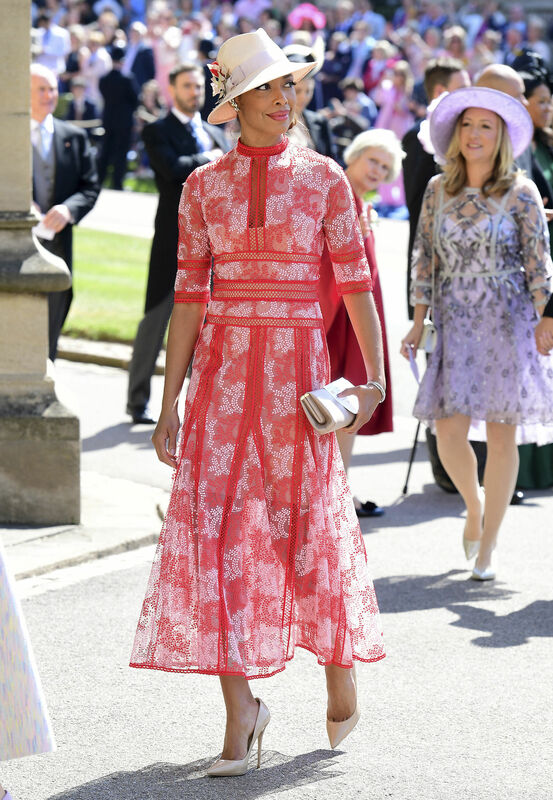 Pippa received a lot of TV time at the last British royal wedding when she was fussing with the train on her sibling's dress. This time around, the now married and newly pregnant Pippa was in demure mint green, a matronly bun under her small hat. 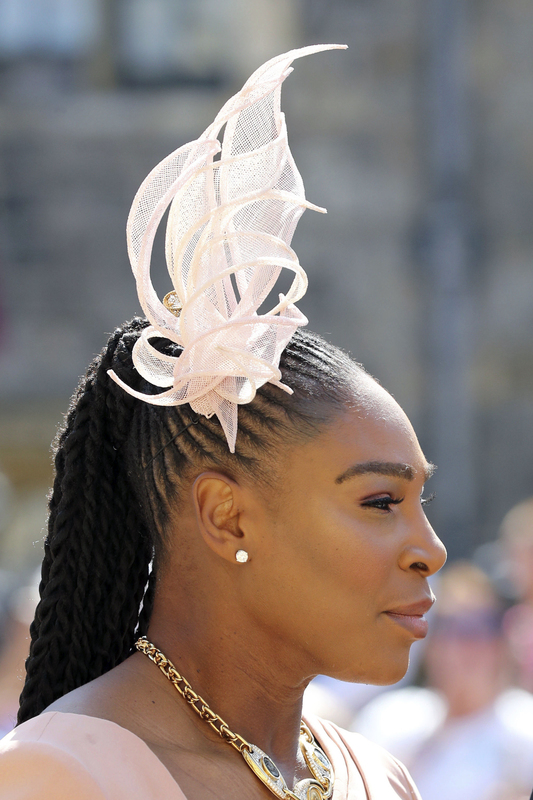 New mom Serena Williams walked slowly inside in soft rose, a high fascinator on her head and a chunky gold necklace around her neck. Princesses Beatrice and Eugenie, cousins of the groom, went for understated hats this time, in sharp contrast to their exuberant head gear at the 2011 royal wedding of Prince William and Kate. Elsewhere among the 600 invited guests were pops of royal purple in dresses and ties with a healthy dose of spring pastels. One male guest came in formal long shorts - all the better to show off his two prosthetic legs. Another donned a top hat as the crowd lining the wedding route cheered the lucky guests.